These are recaps of Well Intended Love Chinese Drama Episodes 3-4, Ling Yizhou announces Xia Lin is his wife. An Ran is furious to leave, and Chu Yan thinks Xia Lin is a gold digger. Chu Yan’s father slaps him for taking An Ran to see Ling Yizhou. Because he is intention to get his son and An Ran married to gain family’s power. 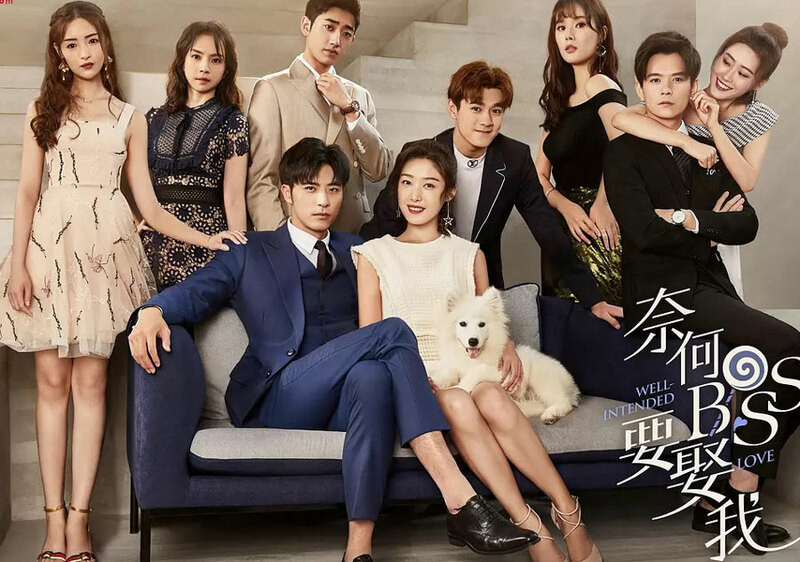 Note: From here on out there are specific plot spoilers for Well Intended Love Chinese Drama Episodes 3-4. Xia Lin gets the surgery and will be out of the hospital. Jia Fei visits Xia Lin and persuades her not to fall for Ling Yizhou. Chu Yan picks up An Ran at the airport, but she only cares Ling Yizhou. Jia Fei asks for Ling Yizhou’s assistant, Zhou Wen’s business card, and is intention to get him a girlfriend. An Ran keeps mentioning Ling Yizhou while eating, but Chu Yan reminds her not to think of Ling Yizhou. She doesn’t worry about Ling Yizhou get stolen as she is the only female around him. Xia Lin gets in Ling Yizhou’s house, and the housekeeper Huang Sao welcomes her. Xia Lin steps in the room, and finds out that it’s full of Ling Yizhou’s clothes. She thinks getting in the wrong room, Ling Yizhou shows up with a bath towel and asks her to live with him. Because the fake marriage will get leaked, if Huang Sao reports it to his grandma. Ling Yizhou announces Xia Lin is his wife. An Ran is furious to leave, and Chu Yan thinks Xia Lin is a gold digger. Chu Yan’s father slaps him for taking An Ran to see Ling Yizhou. Because he is intention to get his son and An Ran married to gain family’s power. Chu Yan doesn’t want to be the chip of political marriage, so he fights with his father. Xia Lin goes to kitchen to get food, but hurts his leg when seeing Ling Yizhou. He carries her into room, and she is nervous. He takes out the bank card and tells her the password. She is moved when knowing the password is her birthday date. But he claims the password is her birthday date as well. Chu Yan and Xia Lin work in the same company. He sneers at her that she looks like his friend’s wife, and makes her nervous. He thinks Ling Yizhou doesn’t want her to be super star, so he conceals their marriage. Xia Lin walks Jia Fei at the street, but someone robs her wallet. She worries about it because it contains the black card that Ling Yizhou gave her. But the thief is scared to return the wallet to her. Ling Yizhou takes Xia Lin to see grandma, and asks her to feed him dishes. But the dishes he didn’t eat before. Chu Ran and An Ran mocks her. Chu Yan thinks Xia Lin is a scheming girl, and persuades Ling Yizhou to leave her. But Ling Yizhou ignores it. Chu Yan decides to disclose the woman’s real face, and pretends to get sick, living in Lin Yizhou’s house. Ling Yizhou takes Chu Yan to bathroom and warns him. But Xia Lin misunderstands their relationship. An Ran drinks in the bar, and tells Chu Yan that she will get Ling Yizhou back. Chu Yan persuades her to take it easy. Xia Lin and Jia Fei talk about Ling Yizhou’s sexual orientation, Jia Fei tells Xia Lin to wear the nightgown to flirt with him. But Xia Lin is drunk and kisses Ling Yizhou. Xia Lin wakes up and finds out that her clothes got changed, and asks Ling Yizhou if she did something bad when she was drunk. He warns her not to drink again, and her clothes is changed by Huang Sao. Ling Yizhou remembers Xia Lin’s kiss and is awkward. He treats her coffee as wine and drinks up. He drives her to office and runs into Yin Shuangshuang who is interested in him. Xia Lin hears people talk about rumors of Ling Yizhou and Yin Shuangshuang, and reveals she knows Ling Yizhou. Yin Shuangshuang is nice to Xia Lin, and Xia Lin decides to get Yin Shuangshuang and Ling Yizhou together. So Xia Lin sneaks into his room, but he spots her. She knows he had a robot, and tells it to Yin Shuangshuang. Yin Shuangshuang asks Xia Lin to buy the robot, and takes her to see Ling Yizhou. But Ling Yizhou’s face falls when seeing the gift, so Yin Shuangshuang scolds Xia Lin. He accepts the gift when seeing it. Yin Shuangshuang smiles to invite Xia Lin attend the conference. Xia Lin realizes Ling Yizhou is in anger, so she decides to buy him something. She is interested in a necktie, but the man got it first. He gives the necktie to her when knowing she wants to give it to her boyfriend. Xia Lin apologizes to Ling Yizhou, and claims she had to get Yin Shuangshuang so that she could go to the conference. She gives the necktie to him, and remembers he was shy when she kissed him. She realizes that he likes women. 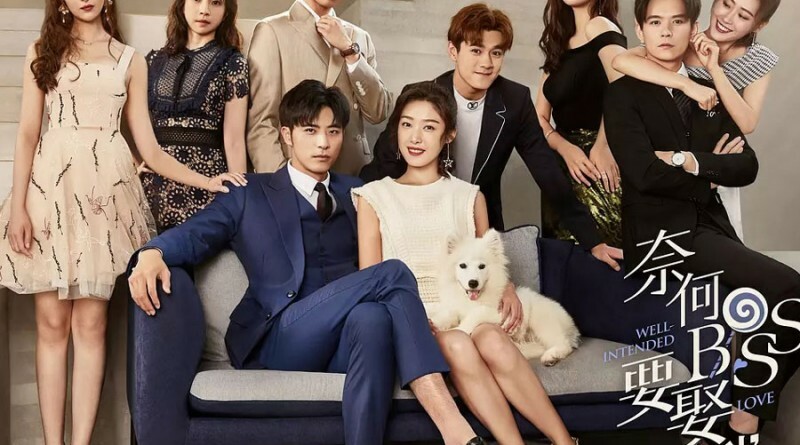 survival in palace drama over one episode. But she tells him that she won’t know Su Xi’s real face if she didn’t hit her. Xia Lin doesn’t have dress, so she has to ask Ling Yizhou a favor. She thanks him when it’s done. He points out that he cares her, but she only cares her company. Xia Lin follows women to walk the red carpet, but hurts her leg. Her plan to be the super star is failed. When she lies in bed to treat her wound, Ling Yizhou takes medicine to walk in. Her heart beats fast when he applies the ointment for her. When she was drunk, Xia Lin kissed Ling Yizhou and vomited. She asked him to change her clothes, he had to lie that Huang Sao changed the clothes for her.